G2 helps businesses discover, buy, and manage the technology they need to reach their potential. Work for G2 Review Platform? "I've already told EVERYONE about G2Crowd!" "Give great insights and generate great gift cards for you!" It's easy to use and as long as you provide great insights and prove that you are or have been a regular user, you are able to get a good rating and a gift card. I never really know how long it will take to get a review approved. It varies quite a bit. No complaints other than that though. read multiple reviews on a software program because you will see different opinions much ike you will see reading Yelp or Trip Advisor. Take it with a grain of salt. I hope thay my reviews will help others to get a good sense of the pros and cons of the various software business tools that they can use. I have read some reviews myself of other email programs in case I do want to change for my marketing work in the future. The insights provided by other experts seem to be good and provide consistent feedback. "the best platform in the market for software revision"
It helps me a lot to have a better rating and recommendation to be able to choose the best software for my work .. I like it a lot because it has a very good system, it is very versatile and contains a wide range of softwares .. good technical service and its promosions are great I really like this platform. Personally, I like it a lot, but it would be great if they allowed users to do more reviews than what is normally used, since most of the software that occupies the list of this platform are payments. "Make reviews about your everyday applications"
"Excellent platform for real reviews"
What I like most about this platform is to be able to see the reviews already made of certain software and to be able to identify if it is worth buying or not, in addition to seeing the performance of each of them with only seeing opinions from all over the world. Besides, I like the G2crowd rewards system very much because they give people insentives for leaving an opinion of the products already used by them, either by Amazon gift card, visas or starbucks gift card. Until now I have not had any problem, they are very precise when it comes to correcting a review by highly qualified staff which is ideal for different reviews of thousands of people and thus avoid badly made reviews, that is, they pass through a filter on which choose the best written and verified reviews that are really the products are used by users. If you are looking for a platform to see certain reviews of some product or several since the platform has thousands of reviews G2Crowd is what you are looking for, apart if you want to give your opinion and receive an incentive from G2Crowd do not miss the opportunity I have received up to 15 $ gift card amazon as a reward very quickly! G2Crowd has helped to find softwares or products in its review system and see the opinions of each of the users who leave their comments and have an idea of ​​how each of them works and if they have had a good or bad experience to be aware of how the product is going. "Help Others Find the Software Solutions They Need"
I appreciate that the platform is easy to use, thorough, but sensitive to your time. If it took an hour to respond, there would be far less feedback and the community would have less value to those looking for solutions. Simultaneously. the platform requires quality feedback a QC measure that I know I appreciate as a user. There is nothing to dislike. Promised rewards are delivered in a timely fashion. You have many choices of privacy settings so you can exercise some control over your words. I am concerned that a couple of times I have been called away in the midst of a review, and the platform appears to think I'm a new user when I return, even though I use the same email address and LinkedIn account. I'm afraid that will be perceived as an attempt to circumvent the system and leave more reviews than requested. Otherwise, it is one of the more professional review sites that I have encountered both as a reviewer and a user. Professionals with software experience, contributing to G2 via the Review Platform is a no-brainer. And to the G2 team - I have passed on your emails specifically because of their cheeky tone - I love the communications! How often can you say that about email marketing? Well, it's a review platform, so the benefit is being rewarded for contributing feedback. But I have also discovered a source that I can use when I am writing articles that evaluate software for different industries, as well as the place I'll definitely go next time I personally need a software solution. Thanks for sharing your experience! Glad you like our emails. Always nice to hear :). I'm new to G2 Crowd, but I'm glad to have discovered this product! I have found the various business software/solution reviews to be very informative and helpful as I research new products to test out and try. Their support team is very helpful and responsive support team as well. When I contacted them to figure out how to fix a bug, they made sure to follow up with me as soon as any updates were available. The personal touch to their customer support approach makes a good impression of G2 Crowd. I wish users were able to edit their personal information after linking their LinkedIn accounts to their G2 accounts. I would also like to see a more improved and comprehensive search feature for when looking for new products within a certain space, but maybe not being familiar with any of the current products out there. If you're on the market for new tools, check out G2 Crowd and hear from people who've tried out the solutions. Learning more and more about new softwares and solutions that will help me in my business endeavours! "G2 is the authority for B2B software reviews"
G2 Crowd rankings are based on reviews from verified customers who actually use the product - as opposed to subjective assessments from industry commentators. Also, G2 Crowd is becoming a trusted brand built on integrity rather than other sites which are susceptible to fake reviews. The criteria/logic for ranking competitors is not clear. Tiny players with hardly any reviews can appear to rank equally with much bigger players with hundreds of reviews. Also, would like to see more aggressive PR push of the category reports and strong SEO/SEM promotion to drive lead generation. "Great product; usability could be improved"
G2 is clearly a go-to place for writing and searching for reviews, so the vast network of users is a huge plus. I love the reward structure incentivizing reviews. There are a few usability issues that I have with G2. Navigating through all the products can be difficult, particularly when it comes to searching for products that I haven't heard of yet. I would love to be able to use G2 to find new innovative products that aren't really huge on the map yet. Also, navigation can be a bit tough. I have found myself on a page that I didn't mean to navigate to, only to find that I have to go all the way back to the home page and start from the beginning which can be frustrating. Also, there is a chat window that kind of gets in the way in the lower right hand corner. Then, I asked a question, and the customer service rep. referred me to an email address anyway. It seemed like a pretty basic question, too. Sometimes, it is clear that the questions they ask reviewers aren't really applicable to the product. Honestly the G2 Crowd Grid® for SEO was a LIFE-SAVER! I had a short time to find a tool and pitch it to leadership, and in order to do so I needed to be able to speak authoritatively to the differences between my recommendation and a handful of competitors. G2 Crowd helped me identify a few options I had never heard of, and eventually select one that I'd initially nixed from my list, but which I'm extremely happy with so far! Nothing so far! I 'lurked' when I was first researching; I've only recently set up an account and begun writing reviews myself, so I'm new in that aspect. But so far this free community has been an AMAZING resource! It's a no-brainer. USE this free resource to research any software or tool you're looking to implement. Seriously! "Helped a lot in understanding the IT market conditions." The thing which I like the most about the site is that I can get help directly from a lot of people's reviews . This site could be used as a software consulting tool for my business and for uplifting my upcoming ideas. Though everything included in this site is best , from ideas to customer service and to user's reviews on other platforms and forums which I found while investigating about this site , but still I think the interface of this site can be improved a bit and also when I was using this site from my mobile, I was facing some problems because of the interface. I started using this site and adopted the ideas and reviews which I got from user's reviews provided on this site and now I am intending to use this site to short out my problems about what video editing software should I choose and also what ide softwares I should use to do further Programming for my upcoming applications. "Great idea but slow slow review entry"
It's a pretty good idea. Clearly we all want a source of reliable reviews to make better purchasing decisions. Slow, slow, slow. The performance of the review submission was practically unusable. It felt like suddenly I was on a 15 year old laptop on dialup. Every rating step took 5-7 SECONDS to register. Worse, they require a screenshot of the logged in app I was reviewing, and the uploader window failed after similar 7 seconds per click to open. I'm stubborn and tried about ten times. And yeah I checked other apps and browser windows and nothing else was slow. Just G2. Pure garbage. If you want to leave a review, expect a slow and painful process like having some teeth removed. Thanks for taking the time (after apparently spending so much!) to leave us a review about your experience. We take our user experience seriously here and are always looking to deliver great experiences. We apologize for the speed you encountered. We retraced steps that you took and believe your experience was due to a performance issue our application was under. I’d love to be able to connect with you to confirm your experience and validate our assumption. "Not sure the reviews are 100% objective." Seems to be a lot of software to choose from. Hard to tell if the reviews were organic or incentivized. I have been offered a number of incentives to write reviews. It would be nice to know the number of reviews that were incentivized. Maybe a software only has a lot of reviews because it was incentivized. In my mind this changes how you look at overall review count for a software. Online chat help is pretty useless. More than once I was ignored and had the G2 employee closed the chat on me. Take the total review count for what it is worth. Many incentivized reviews. A lot of reviews does not necessarily mean there is a lot of actual proactive user interest to review the software. Hi Tom, Thanks for reaching out and for sharing this feedback. We do offer nominal gift cards in exchange for reviews, but the gift card is in no way dependent on the content of the review (whether positive or negative). We take transparency very seriously, and have a note on each review letting the researcher know whether the review was the result of a promotion or not. I apologize for the experience you had on chat. If you ever run into that again, please feel free to email me directly at cflaherty@g2crowd.com and I will be able to assist. Thanks for being a part of The Crowd! I have searched many pages to see the review of the products I want to use and this page "G2 Crowd Review Platform" seemed very solid with a very good review of the products, apart from also pay for such review :Or what makes one to be much more diligent writing very good review, there are many applications that this page has and that shows its seriousness, thanks to this page and acquired several applications for their excellent reviews. At the moment nothing on the page looks bad, it's perfect. create an account and start enjoying the good reviews and tops applications offered by the site. "Customer Service Never Responds, Never Deliver Rewards"
I would like G2Crowd much better if they 1) delivered promised Gift Cards they dangle out as a false advertising lure to receive reviews and 2) if they actually responded to user inquiries. False advertising. Failure to respond to ANY user inquiries via any of methods for communication - even after 5 months of attempting to get a response. Continually advertising gift cards as a reward for reviews (which in and of itself seems like "buying" them), and then not just failing to deliver, but continued to spam every few days with more such offers to those who have reported their failure to deliver. Don't waste time believing the offer of Gift Cards for reviews, or waiting on a response from customer service. My name is Marty. I am the VP of Research at G2 and look after our review outreach and moderation. It looks like our team was in contact with you directly and responded a couple of times to your concerns. If there were communication channels you felt were unresponsive, I want to hear about them personally. If you would like to discuss this further, I’m happy to chat directly and you can reach out to me at mduffy@g2crowd.com and I can help answer any additional questions you have. In addition, it looks like you were not sent any gift cards as a result of the reviews not being eligible to be posted on the G2 Crowd site. As a thank you for your time and a consolation for any communication delays, we have sent a $30 Starbucks gift card to you. "Great Review But poor Customer support and mail reply no response. " The idea of donation is the best. The user interface for writing the review and reading review. The idea it self has a good impact on social experience and views sharing. The Support team is sleeping i think. I had mail but no response by there side and never live chat cause they tell to check user faq or give the link. If the user had already had gone through the link what is the point to give the link and after that no live or quick response for question. I lead the user team here at G2 Crowd. I took a look at the emails you sent and I'm seeing we were able to respond to each support ticket within a day or so of them coming in. Perhaps you missed them or they accidentally went to your spam folder. I just sent you an email to follow-up and make sure we're able to get you taken care of. Glad to hear you like our G2 Gives charity program! "Effective tool for choosing software and vendors"
I love that I can see opinions of actual customers that use software on a daily basis. I feel the feedback is authentic and helpful and has helped me make better purchasing decisions for our company. My favorite features are the G2 Crowd Grid, the ability to browse softwares by category, and the ability to ask questions directly to the companies through the interface. I do notice that in most categories I browse the reviews are all 4 star or higher. I like the authenticity of the mission of G2 Crowd and hope that as more people review that it's not just the best reviews that make it onto the platform. "G2 Crowd is My First Research Tool for Finding New Software Solutions"
G2 Crowd helps me find the best tools for my specific business goals and challenges. It is the first place I go when I need to find a product or solution to address a specific business need or problem. I know that I will be able to stay on site to compare various options based off of reviews, price, features, and other product information. I also use G2 Crowd to find products and services that I was unaware of before. If I do not know all of my options and would like to explore further, I use G2 Crowd to expand my choices. The only part that I wish could be improved, but I'm aware that it is out of G2 Crowd's control sometimes, is updating the Pricing Information for products and services. If you are in the Saas & IT industry, this is the place to go to focus on attaining reviews from your customers. Finding a business solution to a problem or challenge I am facing. "Innovative and highly beneficial. " G2 Crowd has changed the game when it comes to software reviews and has info to back it up. It's never been easier to connect with reviews you can trust are genuine and from real people. In a day and age where software prices are sky rocketing, you need to be confident your investments will pay off later. The platform G2 offers is huge for this industry. There hasn't been any cons I have found yet. Finding the most for our bucks. "Excellent platform for apt reviews"
I like the brief answers by reviewers which is only what is necessary. It saves time and helps in making a good decision. Some questions which are on a 0-10 scale should have brief explanation options as well. This is the go-to software when it comes to choosing your design and solid modeling software. This gives an overall summary and tells you which software is best for what purpose. Deciding design and data collection software to be used by my company. Thanks for sharing your experience with G2. Glad to hear it's been helpful in your software decisions. We have passed on your suggestion about the questions on the 0-10 scale having explanation options to our product team . "An Easy Way to Build an Excellant Reputations"
I love the ability to reward people for an honest review. I also appreciate the "Current Review Grade" as it helps you understand what kind of feedback will help these companies improve their software and customer service. I wish that you could do more reviews for rewards. Limiting this will prevent people from continuing to use this service. This is an excellent platform to give honest feedback to companies so they can improve their services to better profit my company. I don't like G2 Crowd they wasted my time. They wasted my time with countless redundant questions. They also have ridiculous questions and answers. For example, on this page, I am supposed to indicate "What is my primary role when working with this service provider?". What does that even mean? I guess they are trying to protect themselves by giving you choices that are all false, so they can turn around and disqualify your review if they want. Hi Daniel, Thanks for reaching out and for sharing your experience. We are always looking to make updates to our review form that make it easier for the user, and your feedback will help us improve the process for future reviewers. 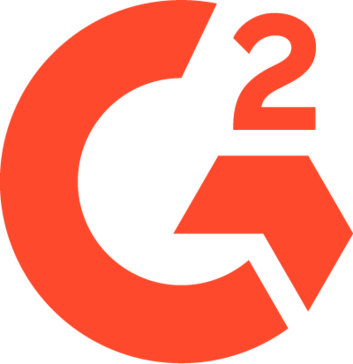 "New to G2 ad a great resource"
G2 crowd is a great resources for learning about different solutions and products that could improve my role within my company. There are many tools available and being able to pick the best tool for the job is very important. It is nice to see what others think about the tools, how they are implementing it, and how they believe those tools could be improved. There are lots of product details that are not widely advertised from the developers of these tools that I have learned about through G2. I was not aware of what G2 Crowd was when I first received a request. It is a little clunky and difficult to navigate at times. I was also not sure how to use it at first, so I had to do a little experimentation. Some sort of introduction or tutorial would have been helpful. I also feel as though G2 could be more successful if they advertised or marketed more. It would also be nice to have a Chrome extension/add on or desktop app. It would be great to spread the word of how G2 crowd can help improve your organization. It would also be very helpful to write more elaborate reviews. Seeing reviews that simply state "great product" are not very helpful. Be as descriptive as possible and provide some real insight so that others may be able to make a more educated decision. "Excellent level of detail, dedicated team that ensure that reviews are all genuine"
The level of detail for each question is great. The support staff are remarkable. A dedicated team exist whose sole purpose is to ensure that each review is genuine. And the listing of currently reviewed products is a great tool to help decide between two or more similar products when looking to implement a new product. Some questions don't apply, like for example asking price, terms and cost on a free product, I think that those who submit the product to the site should have the option to tick a [ ]free checkbox to prevent questions like that coming up when they don't apply. Some well known apps not on the site yet. IT's pretty easy to use, so I can't see any reason not to. Finding reviews of products which we are currently considering using. Recommending products which use often. "Great for reviewing and finding software"
To celebrate my 50th review on G2Crowd I figured I might as well review the site itself. Since finding the site G2crowd has been a great place for me to both find and review software. I started reviewing for monetary incentives but it's actually been fun to see my reviews go up, get marked helpful, etc. As for finding software to use in different spaces, G2Crowd is quickly becoming my go to over other review sites to find the best software in a space. We used it to find alternatives to pricier software for ticketing as well as live chat. Been very happy with the quality and depth of the reviews and the fact that each is reviewed by hand and linked to a LinkedIn profile gives a lot of legitimacy. Going through the process of writing reviews for the site also lets me trust the process. Some software obviously isn't as reviewed as much as others and lacks sufficient data, and some spaces aren't yet covered in depth but you can see the team working fast to fill in all those gaps. Soon it'll be a very comprehensive site. You're here now so I want you to know the information is solid! The reviews are trustworthy and validated, each is reviews by G2Crowd staff by hand. Trial some of their top products and you'll know the reviews are correct. "The absolute greatest site on the web for your software evaluation documentation! " This site just flat out ROCKS! This site helped me complete a full software evaluation I was doing on Alfresco and some other document management solutions. I needed supporting documentation for my review and I stumbled upon this site and was hooked pretty much instantly. The site really has great information and is organized extremely well, plus I love that they have all these links to the installation download files for the most popular solutions I was reviewing. Just downright awesome. My bookmark will be forever set to this site! It took me a moment to realize that the boxes on this page below, were meant to be hovered over in order for their links to be exposed, but now that I understand it, I think it's extremely cool, only new users might find it slightly odd at first like me. I might be helpful if they can be rotated via a timer or something so that if a user doesn't hover over them, they can easily see that there's more to it than just the boxes with logos in them. I dislike that you dont provide enough reviews to fully read up on what people are doing about the tech comnapies.the contacts are often out of date and bounce alot. I love that G2 Crowd is so unique. The opportunity to earn for reviews is fantastic and I really like the platform! Honestly, I can't think of anything I dislike so far! I think G2Crowd has the right idea! I would remember to search out specific softwares and platforms you're using and would like to review in order to save some time as there are hundreds listed to go through. They collect reviews of things and incentivise people to write them. This is brilliant. So far I've been asked to write several reviews of products, some of which I love and some I really do not. This makes G2Crowd a place where people can assert their views about a product without any sort of need to feel compelled to give positive or negative feedback. So far, nothing seems terrible. If they sell my contact information, I might get irritable, but otherwise all os well. "Tried to leave a review - Sent back to landing screen"
Hi Jordan, Thanks for the feedback. We are currently working on streamlining our login process. The good news is that it looks like your other review did go through. It's easy to use, free and help to select best software.. 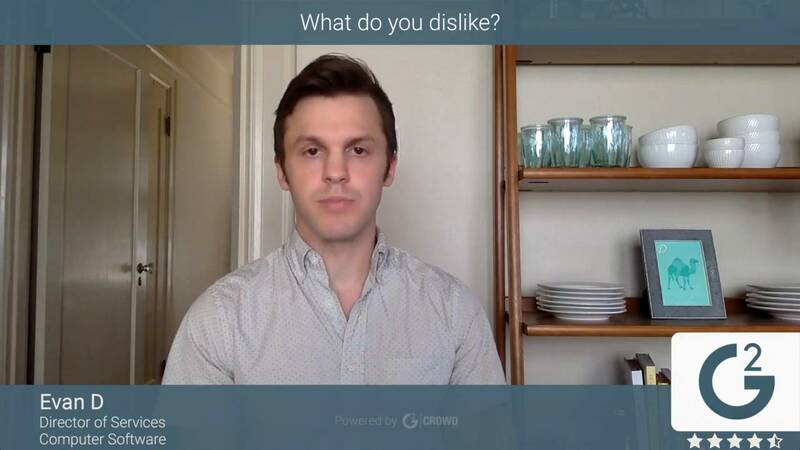 It reveal what people are thinking about software..
"The G2 Crowd Review Platform "
The platform is easy to navigate through, you can see who leaves the feedback and the quality of answers is high. The layout has so many different choices! This isn't necessarily a bad thing, it's just overwhelming to see. It would be more visually pleasing to offer drop-down menus per each category. Thanks so much for taking the time to share your experience with G2. "An amazing platform to give you reviews about amazing platforms"
I love its features. G2crowd is very easy to use and helps you give better experience and knowledge how advanced the computer technology is going. Sometimes, it does not give you reward for no reason that leads to discouragement. Highly recommended to all. Very easy to use thus time saving as well. "Easy-to-use tool for finding and sharing reviews"
Sharing reviews for tools I use at work and for personal use is incredibly easy, particularly due to the streamlined interface and the structured organization of questions and ratings. All reviews submitted by users are reviewed by G2 before being posted, which greatly contributes to their trustworthiness. I can share my experiences with the tools I use every day with others who might be considering using them, and compare and contrast tools I'm considering using in the future. "Hidden Gem in any online business marketing strategy "
Personally, I love the reports they generate which help us make key marketing idea decisions which we roll out on our sites each quarter. I think they could improve the way videos for readers are displayed like a YouTube grid instead of the current format. That's about it. I would go thru the onboarding and sales process as it is eye opening on how they can help your marketing team. I strongly recommend G2 Review platform to anyone looking out to solve their business doubt to choose the perfect tool for their business..
"Love the grid map to compare software products"
My favorite part of G2Crowd is the grid map for different categories of software. It reminds me of the Gartner Magic Quadrants. I dislike that it's sometime hard to pick the correct category for software because some products are multifunctional. I am able to search for different software products that I may be interested in for marketing technology. "Worst customer service i've ever experienced"
But this company has the worst customer service I've ever experienced (and that's saying something). Submitted customer service request 18 days ago. No response or resolution despite multiple follow ups. Will not be using the service again and will recommend that others avoid it. "Seamless platform for business-software reviews." That G2 Crowd provides unbiased software reviews and information from my peers and colleagues. It's an easy-to-use platform on which anyone can provide their thoughts on the latest business software. It provides more than 27,000 reviews of nearly 6,000 products across several hundred categories, and more than 700,000 answers to the questions we care about most, making G2 Crowd the clear leader in the space. I don't have any dislikes. But the best thing about G2 is the ability to take multiple products (there are a ton of categories) and compare them. You can get user based data and that can be more important than any other type of data. People that are typically using what you're researching and giving their feedback. This is one of the most useful things about G2, user based feedback. G2 has helped our customers publicly validate us to prospects and has helped us build pipeline and be considered for opportunities where we likely would not have been found otherwise. Also it has aided as a great validation point for customers in meetings and demo's as to our market profile and position. "Slick experience, with lots of useful information." They reward their reviewers (good or bad) so there are more reviews and deeper level of detail than other sites. Sometimes it's hard to find the right comparison and feature comparisons are not always accurate. "A site that shows our true capabilities"
That the users can rate our product independently so that people can see what our product is really like rather than taking our word for it. That as G2 has grown the CRM analysis has become more and more diluted so we are compared to CRM providers that are not really like for like. I like that this website is easy to search and maneuver. There is nothing that I dislike about this website at the moment. read as many reviews as possible to help determine the best product for your needs. "So much information - the ultimate decision making tool for software evaluation and market research "
A true comprehensive catalog. The comparison feature is very detailed. Ability to slice and dice the market and understand the true positioning of a product. Greeds are sometime too busy with logos and it might be hard to locate a specific product on it. "Always check out G2 for peer reviews!" I like that I can view peer reviews on products that I use. There isn't a whole ton to dislike about G2 Crowd's goals. If you are looking towards new solutions, figure them out utilizing G2 Crowd. "Customer Support Does Not Answer Questions"
G2Crowd is supposed to provide comprehensive reviews of solutions available on the market. I like the ability to compare products side-by-side. Have been emailing them and contacting them on their website to get my questions answered, but yet to get any response. On top of not having great customer service, they rejected this review, so let's try to post it again and see if they actually want honest reviews on their site. Reading reviews on the vendors I am considering. It is sometimes hard to compare vendors side-by-side.G2Crowd makes it easier. Thank you for your review and feedback - it's very welcome! I'm sorry for the lack of response on our part - that is unacceptable. Please email me at astapleton@g2crowd.com and I will be sure your questions are answered personally. We have very high standards for review acceptance and sometimes they can reject reviews that should not have been. I'd love to know more about your initial review and pass it to our research team so we can continue to tune our process here. Thank you for giving it another go so your review/feedback were registered as we need them to improve as a company. "If you need to know about a specific software or program, "G2 CROW" is the solution." The economic incentives that it generates when classifying the software that is used or has been used. That there are some revisions that do not generate economic incentives. Increase incentives in reviews that do not generate them. "Excellent platform to know about new products." The interface, quite intuitive and objective questions. With G2 Crowd, I was able to expose everything I know about the platforms I've used and reviewed, and was rewarded by one of them (I hope to be rewarded by other reviews). "Let me share my views on software"
I like that I can share my opinions on software, and the makers of the software may see it. I don't dislike anything about G2Crowd, it is great. I like that G2's process is simple and straightforward. It takes a few minutes to complete reviews which helps give the appropriate feedback to the clients so they can better meet their customers needs. I dislike that some of the questions are repetitive. It helps to really think about the likes, dislikes and what solutions can be suggested to the provider of the services that I utilize. The G2 Crowd Team is incredible. By simply exchanging a few texts I was able to work with one of their staff members, Travis. He did an excellent job of helping me identify the specific features I was looking for. Then he did the research on what software companies would best suite my personal situation. Great work Travis! My only suggestion would be to move the initial message reaching out to a user of G2 to a more visible location. By popping up in the bottom corner it took awhile to figure out it was even there. Ease of finding helpful software for the company I am apart of. Learning about G2 Review Platform? * We monitor all G2 Review Platform reviews to prevent fraudulent reviews and keep review quality high. We do not post reviews by company employees or direct competitors. Validated reviews require the user to submit a screenshot of the product containing their user ID, in order to verify a user is an actual user of the product. Hi there! Are you looking to implement a solution like G2?